Another beautiful design by Chelsom, Constellation was launched alongside other ranges such as the Icicle range and the Laguna range, as a part of Chelsom’s latest collection, Edition 26. As a whole, the collection reflects Chelsom’s brand image, revealing a multitude of exquisitely designed lighting products - over 40% of the collection is completely new. One of the newly designed pieces, Constellation is an organic design that features a random pattern of arms and satin opal glass globes. 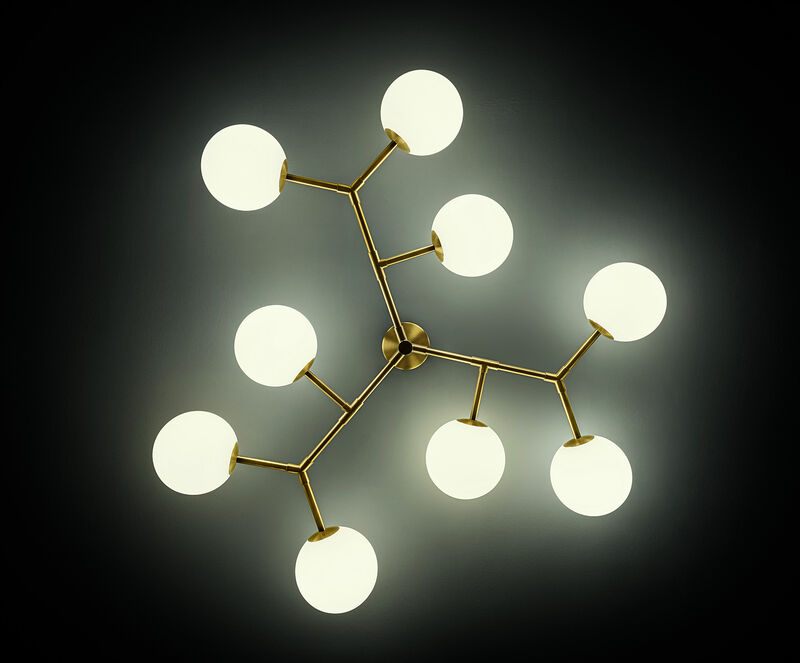 The design is a striking ceiling centrepiece, reminiscent of a constellation of stars in the evening sky; the fitting emits a warm, white light for an ambient affect. Each product features a unique constellation and can be made bespoke, with custom designs and sizes on request. Contemporary luxury design company, Sé, have a passion to create 20th century furniture whilst maintaining the glamour and high quality of their pieces. Since launching in 2007, the company’s vision has been to invite the world’s best design talent to produce collections for their brand; likening themselves to an art gallery or couture house, Sé have been working towards building a catalogue of highly-crafted, beautiful objects. One such piece is We Are All Made Of Stars, designed by Paris-based designer and decorator Damien Langlois-Meurinne. 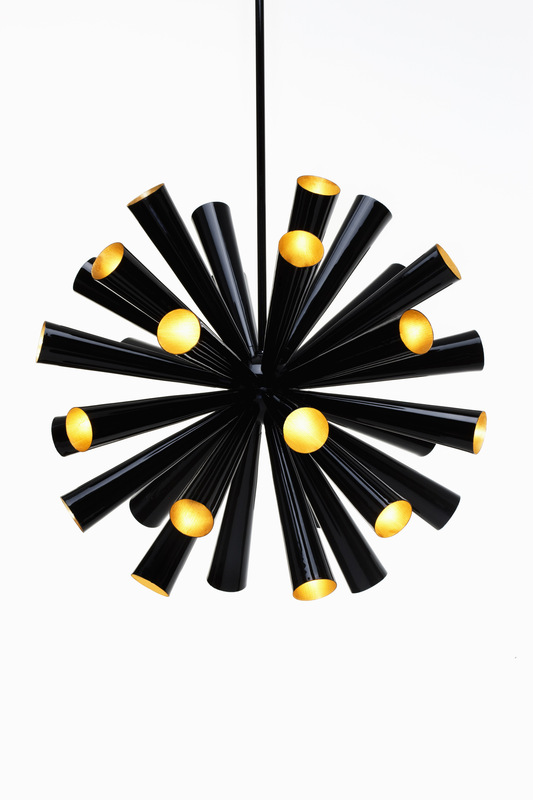 An irresistible starburst centre-piece, We Are All Made Of Stars is a suspension lamp that can complement any space without being overbearing. The interior of each aluminium cone is finished with gold leaf, whilst the glossy, lacquered exterior can be made in any Sé colour or classic RAL colour. Preciosa Lighting is a leading manufacturer of glass chandeliers; their skill and creative vision, combined with their innovative ideas leads them to create exceptional designs. 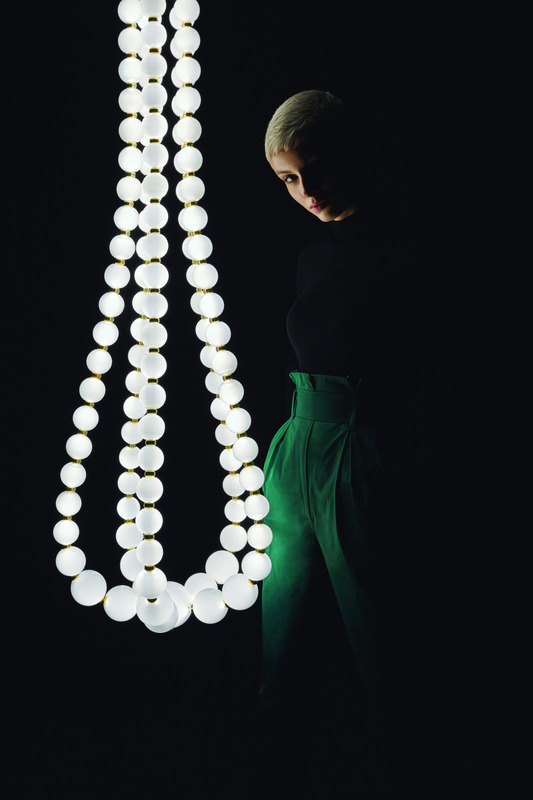 One of their latest designs, Pearl Drop, is made out of hand blown glass opal spheres which are attached by individual brass details. The oval shaped pendant is a perfect imitation of a string of pearls, while the metallic links are designed to emulate the quality and detail of a piece of jewellery.